The Galapagos archipelago straddles the equator some 600 miles or 2½ hours flying time from the coast of Ecuador and is absolutely unique on many levels. Charles Darwin visited the islands in 1835 on the Beagle and visitors today are equally amazed as he was at the diversity of wildlife, completely free from any fear of humans. The Galapagos inspired Darwin’s theories expounded in 'Origin of Species' and there is now a Darwin Centre on the main island of Santa Cruz. With the help of expert and dedicated guides, visitors can confirm Darwin’s observations for themselves, after all, little has changed for the wildlife since – except that they are far more observed these days! The Islands became a UNESCO World Heritage Site in 1978 and World Biosphere Reserve in 1985. The only populated islands are Santa Cruz, San Cristobel, Isabella and Floreana as well as the small island of Baltra on which the airport is located. 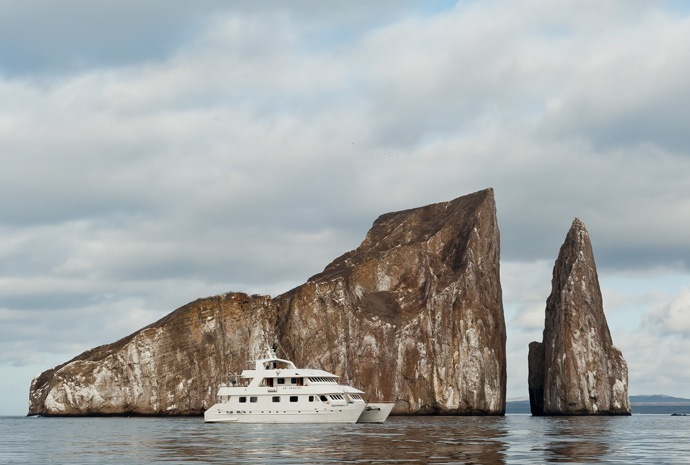 The Galapagos archipelago is teeming with an abundance of intriguing wildlife and plant life that simply can't be missed. 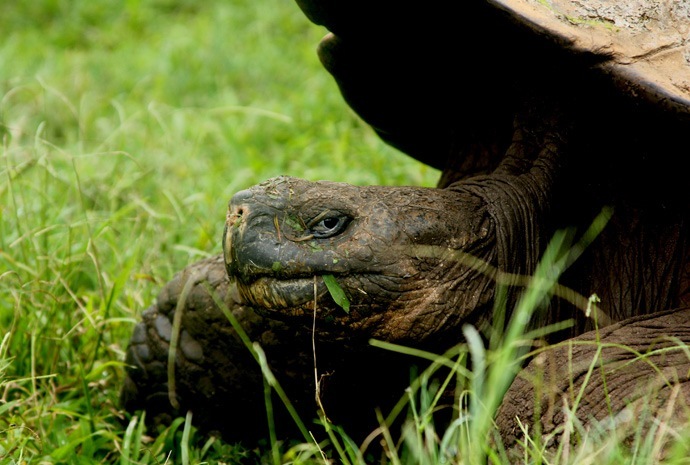 From giant tortoises to the famous Galapagos shark not a day will go by where you won't witness something new and exciting to write home about. 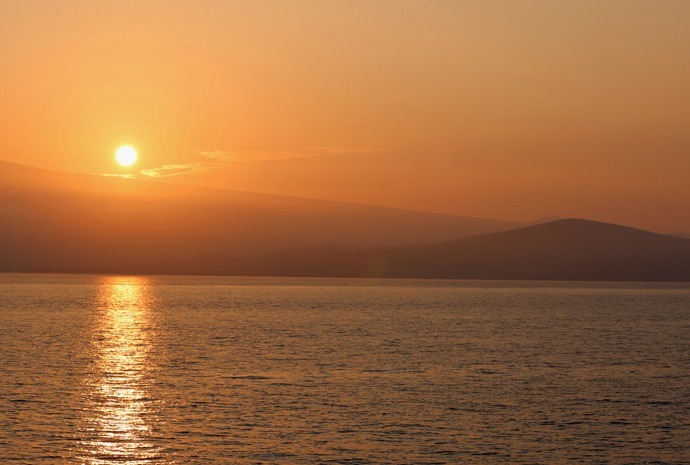 Take a look through our site to find out more about what you can expect to see on your trip to the Galapagos. There are daily flights to two airports on the islands: Baltra, just off Santa Cruz and San Cristobel. These flights depart from either Quito or Guayaquil, both of which are served from main airports in Europe and North America as well as other parts of South America. Upon arrival at Baltra, you will normally be met by your guide and transferred by bus to the ferry (10 minutes) for the short crossing to Santa Cruz. From here you will pick up your transport to your accommodation on the island or taken directly to your cruise boat. At San Cristobel, the airport is just five minutes from the town and port and you will normally be met upon arrival and transferred by taxi or bus to your hotel or boat. 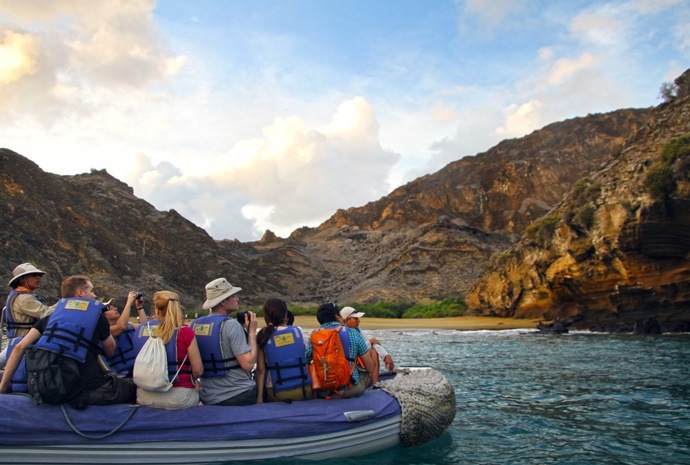 Wildfoot Travel offers fully or part inclusive itineraries to the Galapagos as well as land-only or cruise-only options. Because the Islands are on the equator, it is never cold, however, the climate does vary. December to May, the weather is generally sunny and warm and peak season months are December and January. From June to November, it is cooler and the skies are often overcast for part or even most of the day. The Galapagos are also subject to the effects of different sea currents, notably the Humboldt, which brings cold water up from the Antarctic. On the one hand, this does support the marine wildlife, but on the other it does mean that in parts of the islands, the water is surprisingly cold when diving or snorkelling. This is particularly so during the misty, rainy season (cooler weather) from July to December. The "El Niño" current, however may bring warm waters to the Galapagos during the period January to June.